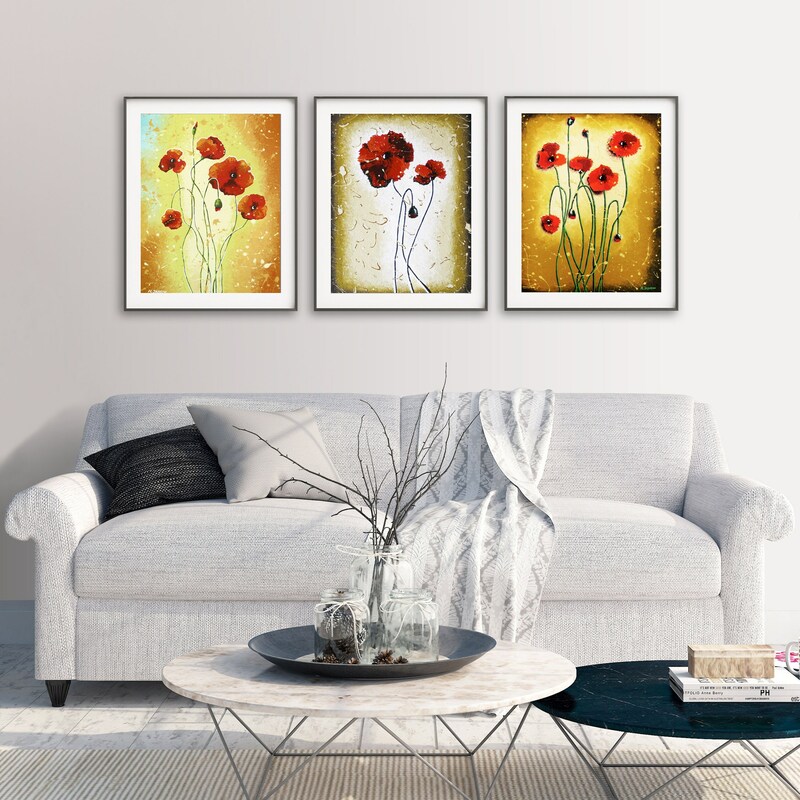 This beautiful poppy flower set is inspired by the warm spring days. The prints are a high quality giclee reproductions from my sold original acrylic paintings. This giclee flower art print set is reproduced using Epson's archival ultrachrome pigmented inks (inks guaranteed not to fade for at least 100+ years under glass) on a museum quality, acid-free, 100% cotton rag, archival, bright white Velvet Fine Art Paper.